A total of nearly 5,000 youth soccer players players suit up with the Albion stripes, representing one of the top development programs in the country. With Albion also represented in Orange County and South Florida, the addition of the club’s latest Nevada expansion has sights set on providing Inspirada FC Elite with its premier development techniques. Albion San Diego also kicked off an NPSL men’s soccer team in 2016 as well as the umbrella organization holding a partnership with Arsenal FC, which allows youth players to travel to London for training events. Youth Soccer News: Las Vegas competitive youth soccer club Inspirada FC Elite has achieved significant success on the field since its inaugural season two years ago. The club is now taking its development to the next level as a new partnership is announced with the renowned San Diego–based Albion SC, which will elevate the youth soccer experience in Las Vegas. As Albion SC–Las Vegas, the club will connect its players with an elite, nationally recognized organization and provide immediate access to the resources, programming and recognition that Albion SC has achieved over the past 20 years. 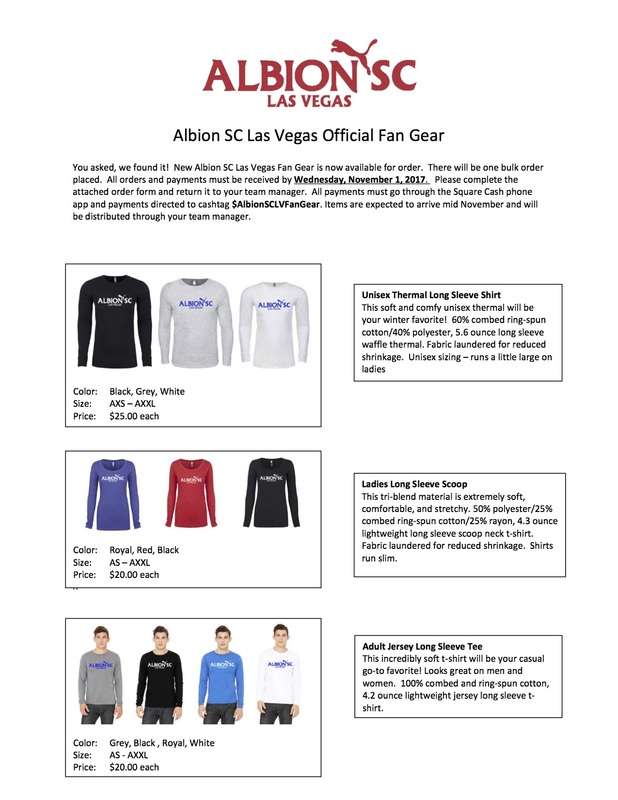 “For Albion SC, this association allows us to expand our brand into the Las Vegas soccer community and helps improve upon what Inspirada FC has accomplished in just a few years,” said Noah Gins,executive director of Albion SC and former UNLV Men’s Soccer player. According to Etienne Barbara, Director of Coaching and Technical Trainer for Albion SC–Las Vegas, the opportunity to bring the national powerhouse experience of Southern California soccer to Las Vegas marks a key step towards premier development. “Albion SC, under the leadership of Noah Gins, has built the best soccer curriculum and programming, along with the best youth club culture that I’ve seen in America,” said Barbara. LA Galaxy Forward Ariel Lassiter and former Albion SC player. Gins is excited to work with a dedicated group that aspires to take their playing and coaching development to the next level. 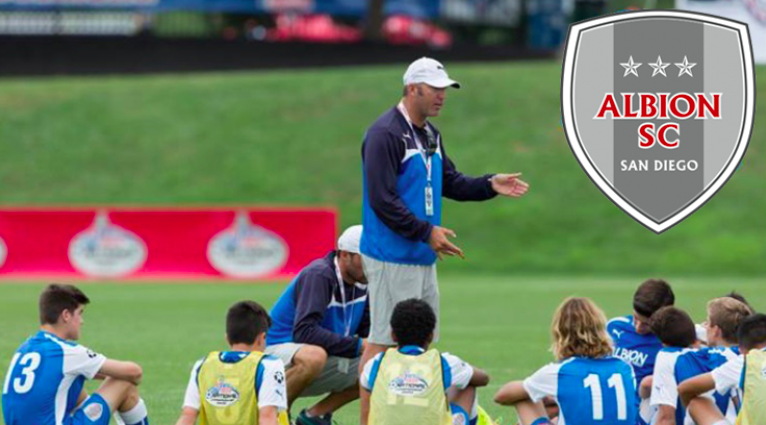 Emphasizing a commitment to development, advancement and placement, Albion SC offers a curriculum for youth players and an accredited U.S. Soccer Developmental Academy program that allows players to advance beyond the youth level to college opportunities and potentially on to the professional ranks. In addition, Albion SC holds a key partnership with Arsenal FC of the English Premier League, which provides access to the club’s players, coaches and training—and most significantly, sends talented Albion SC players to train in London. Now with the establishment of Albion SC–Las Vegas, the chance to train internationally will be available to talented players in Las Vegas. Barbara is excited about the opportunity to provide his players and coaches with quality training as his program takes the next step towards elite development. “This structure allows us to continue expanding our Las Vegas club in the best soccer traditions, creating a great experience for our kids and their families — as well as a home for the best coaches,” said Barbara. Albion players selected to train with Arsenal in London. The Las Vegas club currently has around 80 kids in its program and was recently in search of an established club to partner with. Barbara and his crew are dedicated to providing children with a rewarding experience during development in order to maximize a family’s investment in the program. Its first move is the addition of Amanda Schmutz as Director of Coaching and College Placement. With a solid reputation and proven track record for placement—she continuously places all of her players in collegiate and university teams, including Big 10, PAC 12, SEC and Ivy League programs. As one of the top youth soccer coaches in the country, Schmutz has been one of just a handful of female ECNL head coaches. Schmutz joins Albion SC–Las Vegas after nearly eight years with Heat FC, where she served as the Director of Coaching for U14-U18 girls and the ECNL membership Co-Director. Schmutz will create the club’s college placement platform and work with the Albion SC curriculum set forth by its U.S. Developmental Academy Program. She holds a USSF “A” coaching license. Schmutz joins her expertise with Barbara who has established a reputation as one of the best technical trainers in Southern Nevada. Barbara’s 06 girls team won the elite Mayors Cup Tournament and is currently ranked no. 1 in Nevada and no. 12 regionally by Gotsoccer. A native of Malta and former member of the Malta Men’s National Team, Barbara made 32 appearances for his country, including during the 2006 FIFA World Cup qualifiers. He joined the Carolina RailHawks in 2010 and was named NASL MVP in his first season after scoring a league high of 20 goals and eight assists. Barbara maintains a “B” coaching license from the U.S. Soccer Federation. Albion SC PROS is preparing for its latest preseason match versus the UNLV men’s soccer program on Saturday, March 4th, at 3:00 p.m. PT. The match will be played on the UNLV campus.